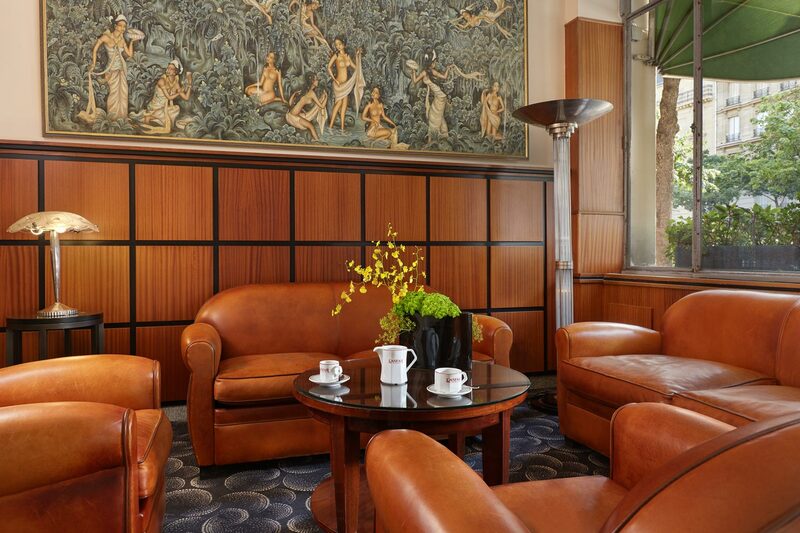 The art deco hotel of the Montparnasse district is the Raspail Montparnasse hotel. 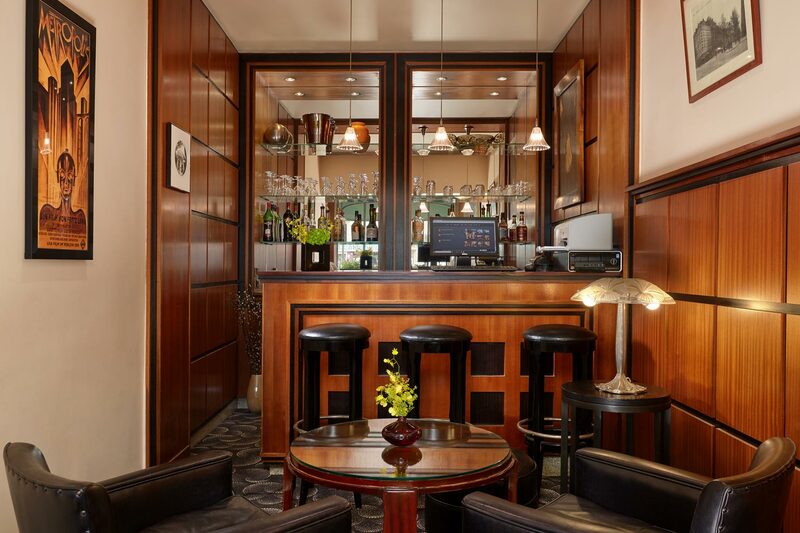 Ideally located in the center of Paris’ Left Bank in the 14th arrondissement, the hotel is at the heart of a district particularly famous from the beginning of the 20th century to the Roaring Twenties. It still retains traces of the past, adding a special character and charm, evidenced by its architecture and decoration. Our hotel is in the immediate vicinity of the Montparnasse train station. Close to the metro stations Raspail, Vavin, Gaité and Montparnasse Bienvenue, you will enjoy an ideal location in Paris. It is a lively but yet peaceful part of the City of Lights. Take the opportunity to discover the most beautiful view of Paris at the Montparnasse Tower observatory! 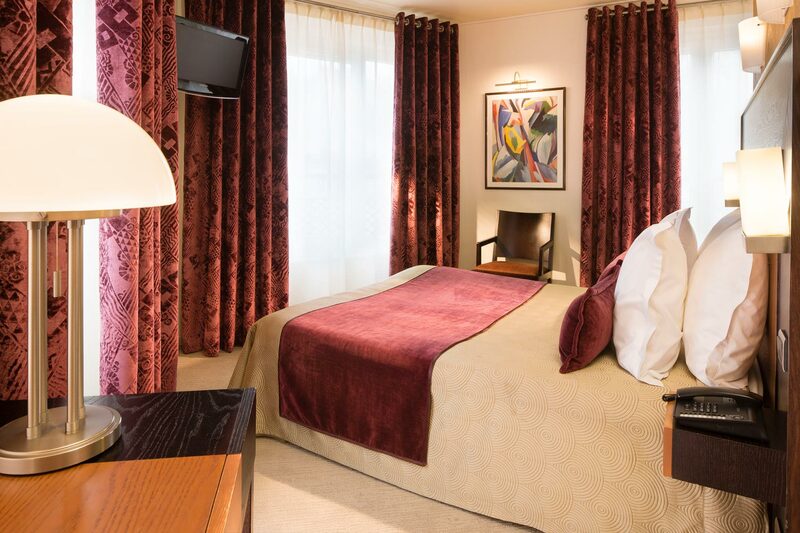 Our comfortable rooms benefit from natural day light. They are air-conditioned and equipped with a minibar, safe, flat-screen TV and satellite channels. They have of course private bathrooms. Coffee, tea, champagne, whisky, bourbon, vodka, cognac and armagnac, white and red wines, mineral water and soft drinks. 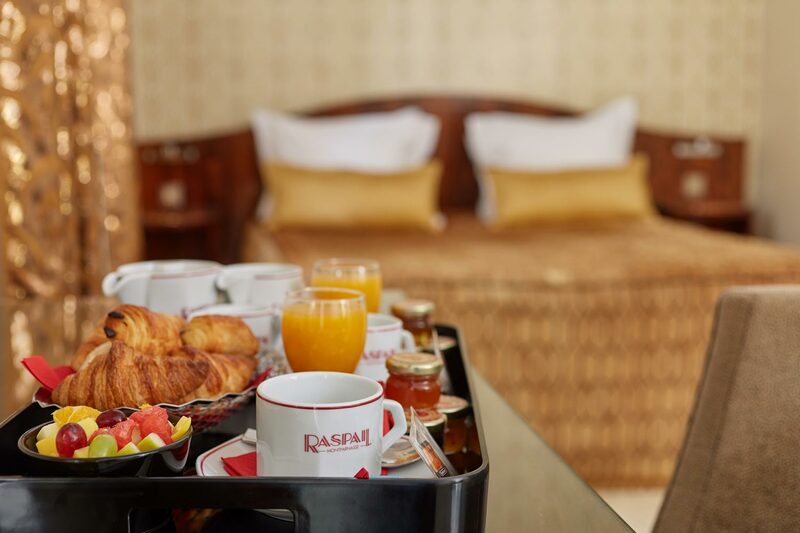 Raspail Montparnasse hotel serves breakfast, for €12, from 7:00 to 10:30. 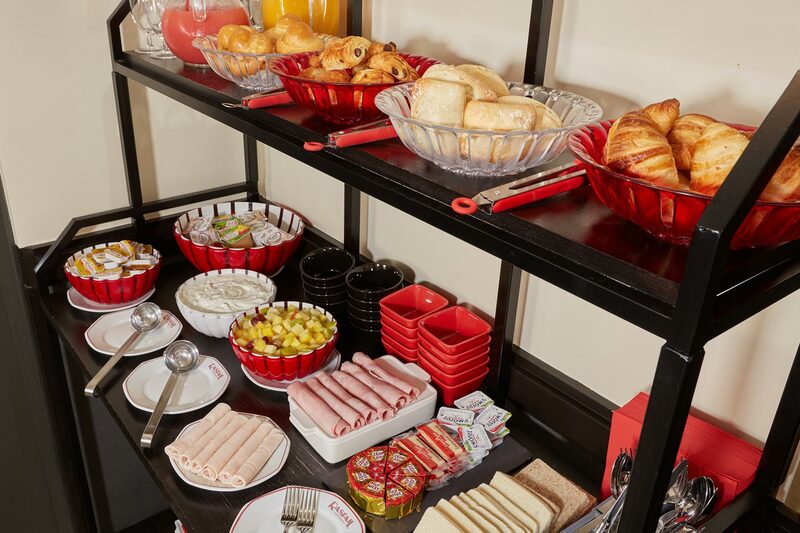 Buffet breakfast is available in our cafeteria. 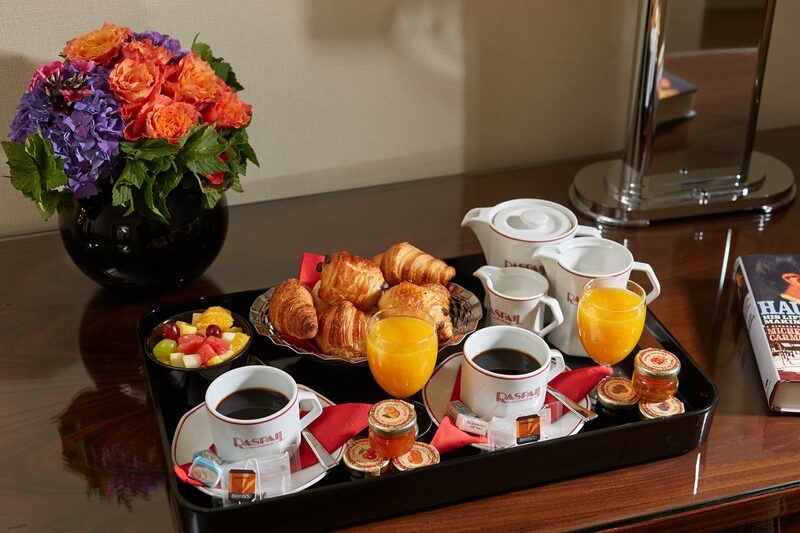 Continental breakfast is served in your room. 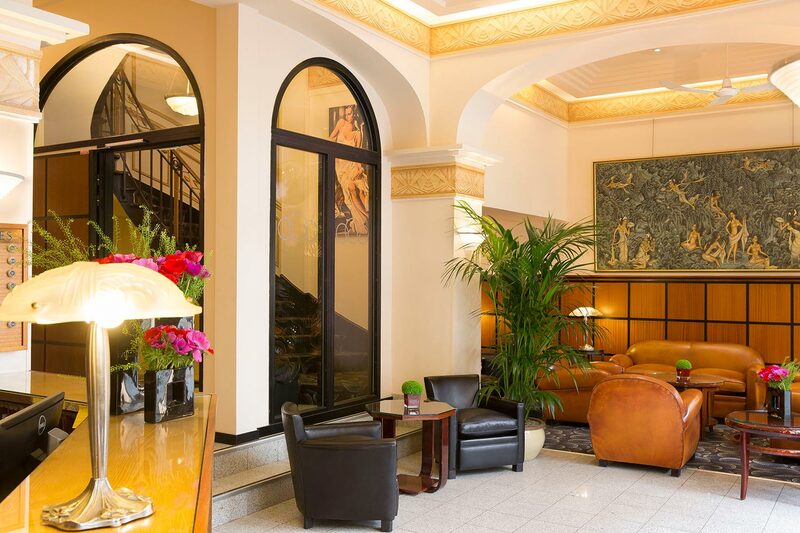 Located in the heart of Paris Left Bank, the hotel is in the center of the French capital. 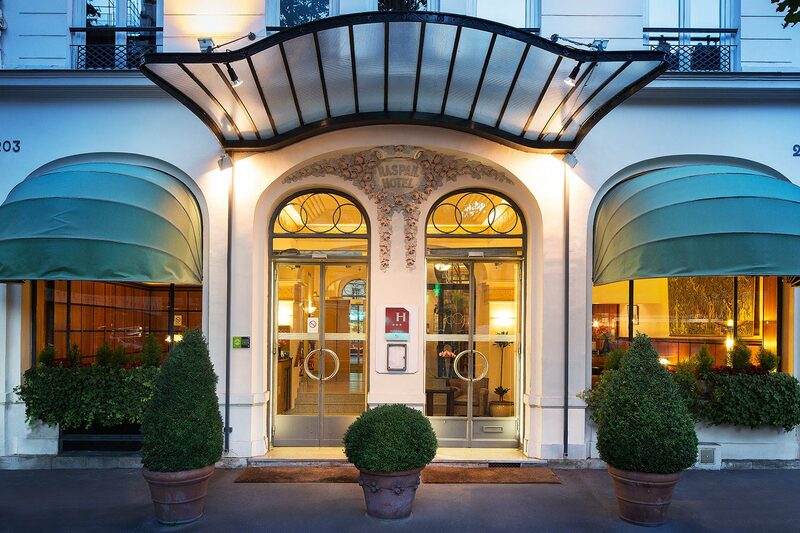 Just ten minutes’ walk from the Jardin du Luxembourg, 15 minutes from the Odeon and Saint Germain des Prés, 20 from the Latin Quarter, all areas and monuments of Paris are within your reach! It will only take you 10 minutes to get to the catacombs with the line 4 of the metro, 15 minutes to go to the Notre Dame de Paris cathedral with the RER B, and only 25 minutes to admire the Eiffel Tower with the bus 82 or the line 6 of the subway. 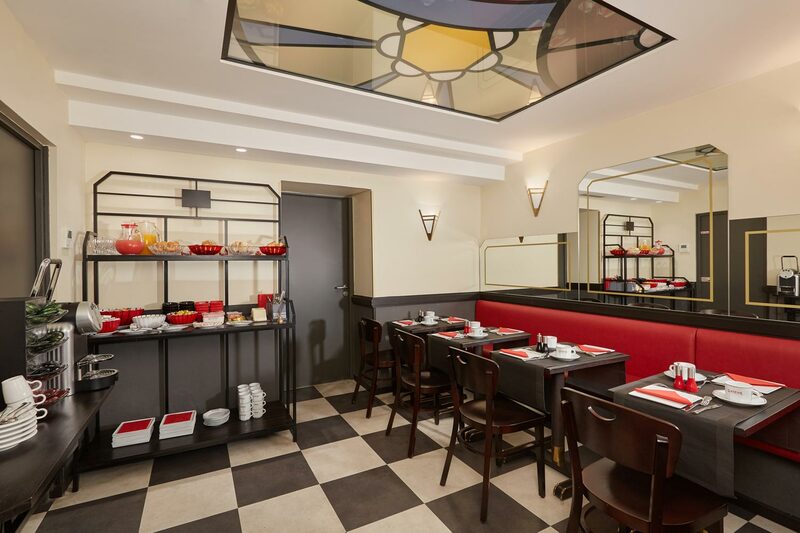 Gare Montparnasse is a 5-minutes’ walk away. Gare de Lyon and Paris Bercy Train Stations are 20 and 25 minutes away via metro line 6. 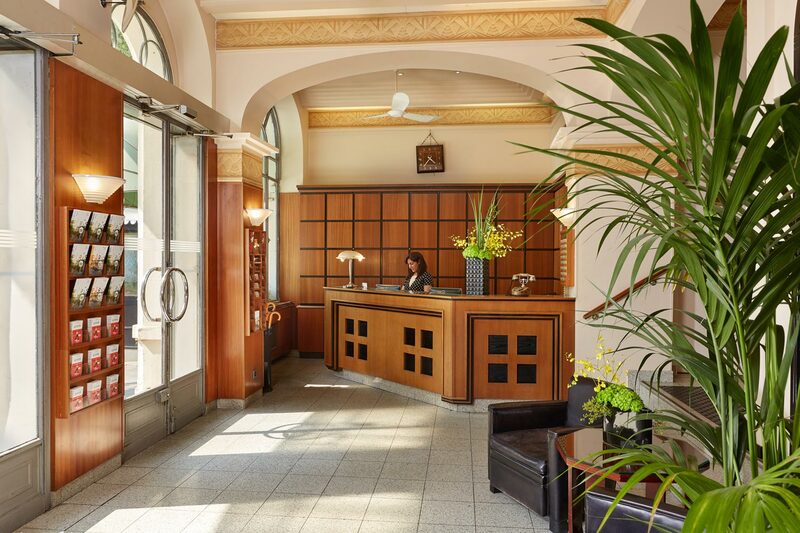 The Gare de l’Est and the Gare du Nord train stations are 20 and 25 minutes away from the hotel via the metro line 4, and you can also reach the Austerlitz station in 20 minutes by bus 91. Thanks to Port Royal station of the RER B only 5 minutes’ walk away, you have a direct train from Roissy Charles de Gaulle’s airport. If you come from Orly airport, take ORLYBUS to Denfert Rochereau, then the metro 4 to Vavin. 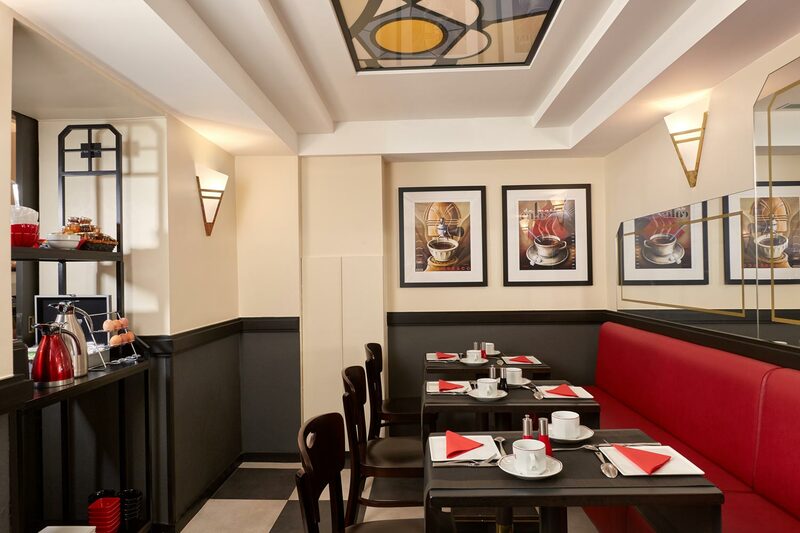 Have a nice stay in Paris in our boutique hotel Raspail Montparnasse!